In the current issue of DRAFT magazine there is a Trek article I wrote about a visit to Bamberg, Germany, the recognized international beer capital of "rauchbier" or smoke beer. But in the U.S., if you are looking for smoke you will want to head to Juneau, Alaska. Smoking barley is a different process than roasting barley. Roasted barley is what gives stouts and porters a dark color. Roasting barley, which is similar to roasting coffee beans, is done with indirect heat at higher temperatures. Geoff Larson, co-founder of Alaskan Brewing in Juneau, Alaska, says the company’s Alaskan Smoked Porter was happenstance resulting from some research into the early days of brewing in Alaska and the fact a salmon smokehouse was located right across the street. “We’d share fish and beer,” said Larson. “We had a big advantage in working with a professional colleague in the area of smoke. Sandro Lane had a computer controlled smokehouse that gave us repeatability.” The type of wood used – in the case of Alaskan it is alder – has a direct impact on the beer’s final flavor profile. He notes that brewers 300 to 400 years ago “had a constant battle with smoke” and that writings from those times make negative references to beers that were too smoky. Alaskan Brewing made its first smoke beer in 1987. 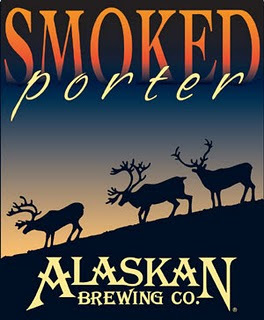 Eventually, Alaskan Brewing bought the smokehouse and uses it each fall to smoke barley for Alaskan Smoked Porter, which has won more medals than any other beer in the history of the Great American Beer Festival. “It’s all about balance. Smoked malt makes up only a portion of the grist. You don’t want too much smoke and you don’t want too little. You want to balance the smoke and the beer character,” Larson says. Alaskan Smoked Porter pours a dark brown with amber edges and a tan head. This 6.5 percent alcohol by volume beer offers a whiff of smoke in the nose. The flavor has a good overall level of sweet smoke, with hints of dark chocolate and roasted malt.